Traditional style wool - and synthetic - flocked panels can bunch up, causing hot spots and uneven pressure. As time goes by, this panel requires constant adjustments and reflocking because of shifting experienced during use. 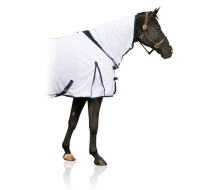 The AMS® System has been designed to allow a perfect union between horse and rider. 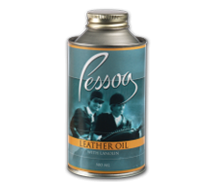 This system eliminates hot spots by dispersing any pressure variances of the flocking within the panels, thanks to the exclusive pressure stabilizing neoprene layer. 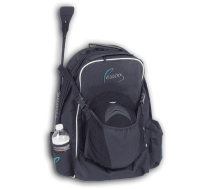 The neoprene layer provides a soft, consistent layer to support the rider's weight on the back of the horse. 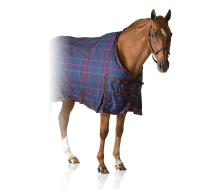 This layer will absorb impacts and distribute pressure evenly for maximum comfort and freedom of movement for your horse. 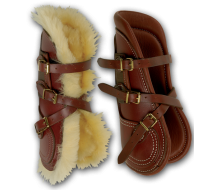 Saddles with AMS® panels can be re-flocked and fitted to your horse, just like traditional wool flocked panels. Provide the right panel depth and shape for your horse. The AMS Master Fit™ System features AMS® panels specifically designed for particular horse conformations. In addition to Standard Panels, Alto Panels are for horses with prominent withers and greater height distances between their withers and backs. 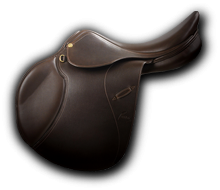 It has a deeper panel at the front and back of the saddle, allowing greater clearance over the withers and spine. A front gusset provides extra padding to sit properly behind the wither, where this type of horse usually lacks muscle. 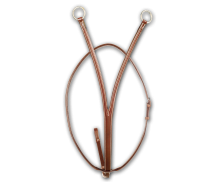 Corto Panels are designed for horses with well developed, short-coupled backs. 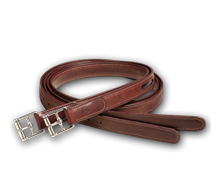 The panel is shorter to eliminate weighting the loin area, and the gusset is flatter in order to better fit the contours normally found on this type of horse.